Evangeline’s ideal world includes constant companionship from otters (because they are just the cutest things on the planet), zero traffic, and weather always being 75 degrees with a slight breeze. Realistic? Probably not, but it’s nice to dream. She’s from Michigan, but has lived all over the country, currently calling Austin, Tx her home! Some of her fondest memories include a friend peeing her pants at a haunted house, any lovely and horrible joke, and pretty much any time she gets french fries. 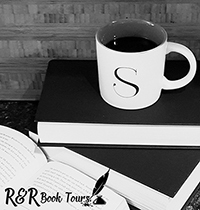 Traveling around the world, working for a non-profit foundation, studying Japanese, and improving her art, Evangeline decided it was finally time to get down to business with her true passion–writing! Alex is an outsider around other’s his age and loves to be alone, with his dog. One day the dog goes on the hunt and brings Alex into Beatrice’s world. 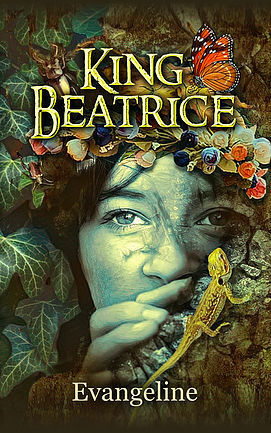 Beatrice is the new girl and doesn’t fit in so she escapes into her fantasies. She has taken a liking to Alex, who can’t stand her most of the time, and they start a friendship. This is a quick, coming of age story that will appeal to anyone, especially those that feel they are on the edges of society norms. I love how although Alex and Beatrice are different they find something they both need in each other. This is a wonderful story and one that I recommend. For being a novella it has a powerful message. This is my first book from Evangeline but it will not be my last. I can’t wait to see what she comes up with next. I would like to thank the Author and Sage Adderley-Knox for the opportunity to read and share this book. Caryn Rivadeneira is the author of seven books–for both children and adults. Her most recent titles include Grit and Grace: Heroic Women of the Bible and The Story of Noah’s Ark (both SparkHouse Family). Caryn serves on the worship staff at Elmhurst Christian Reformed Church and is a proud member of INK: A Creative Collective and the Society of Children’s Book Writers and Illustrators. 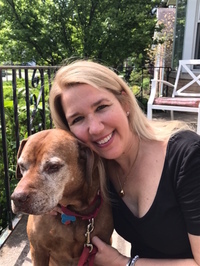 Caryn lives in the near-west suburbs of Chicago with her husband, three kids, and one rescued pit bull. Sonya Abby Soekarno is an Illustrator and Visual Development artist currently based in San Francisco. Originally from Jakarta, Indonesia, she recently graduated from the Academy of Art University. Sonya’s interest for children’s book illustrations stem from her love of bright and viberant colors, as well as the various whimsical fantasies she grew up reading. Sonya has been recognized in her school’s Illustration Spring Show for two consecutive years, and was also a finalist in the 2017 Society of Illustrator’s Student Scholarship Competition. 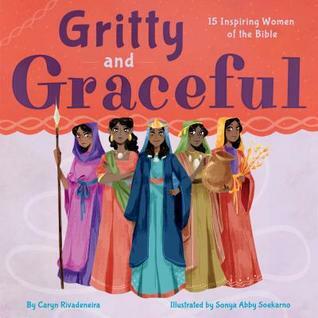 This is a wonderful book about fifteen women in the bible. Although most people talk about the men of the bible, there are also several strong women that did great things for God. I have to admit that I only can think of a couple women from the bible, but there were so many more. I had never heard of Deborah and how she led an army or Mary and Martha who loved Jesus in their own ways. Each story has a wonderful illustration and the name and what the woman did. It also has a quote for their story in the bible. This is a beautifully illustrated story for any child but especially girls. It has a great message and would be a great addition to any child’s book shelves. I even learned something from it and think the message of God doing great things for them and them doing great things for God is timeless. What an engaging way to help encourage any child to look into the bible and God. I would like to thank PR by the Book for the opportunity to read and share this book.